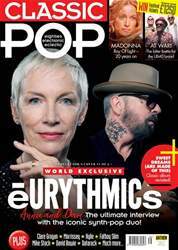 Digital Subscriptions > Classic Pop > Apr-18 > No TOTP? It’s a sin! It’s been off air for more than a decade but Pet Shop Boys are still smarting at the loss of Top Of The Pops. As regulars on the BBC programme, the duo believe there remains a televisual void for a chart show. “I still think it’s weird the BBC doesn’t have a weekly pop programme, because the chart now is pretty interesting”, said Neil Tennant. He believes that streaming has actually made the charts more intriguing. He said it’s now: “More volatile, [and] records hang around for ages like they did in the 60s.